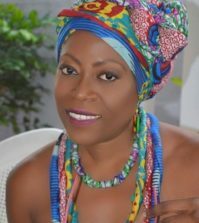 Juleus Ghunta is a peace advocate, poet and public speaker. He earned a B.A. in Media and History from the University of the West Indies. His poetry has appeared in several journals including The Missing Slate, Spillway, Cordite Poetry Review, Chiron Review, Pittsburgh Poetry Review, Interviewing the Caribbean, DoveTales, BIM, Moko, and In this Breadfruit Kingdom, an anthology edited by Mervyn Morris. He was shortlisted twice for the Small Axe Poetry Prize. Ghunta is the creator of the D.R.E.A.M.R.I.G.H.T concept, which he has transformed into a platform for inspiring others. He has delivered speeches on social advocacy and self–empowerment to more than 10,000 people at 40 organisations. In 2010, he was one of 38 leaders selected from 28 states for the Commonwealth Leadership Programme which was held in Rwanda. 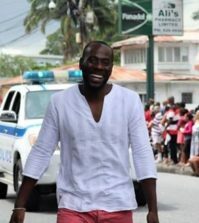 He was the Publications and Research lead on the steering committee which organised the CanaCaribe peacebuilding workshop in St. Kitts in 2011. In 2012, he received certification in Restorative Justice Facilitation and Mediation from Jamaica’s National Restorative Justice Programme, and Dispute Resolution Foundation. He is an advisor at Young Peace Builders, an NGO based in Sierra Leone, and was previously a member of the Commonwealth Youth Peace Ambassadors Network (CYPAN). 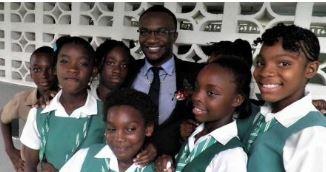 He received Jamaica’s Prime Minister’s National Youth Award for Excellence and the Rotaract Club of Mandeville’s Annual Peace Award for his peacebuilding and youth empowerment work. 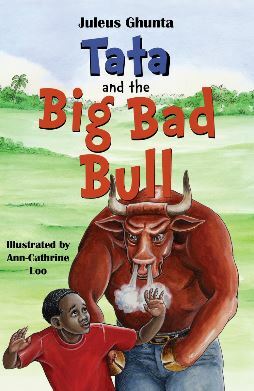 His first picture book, Tata and the Big Bad Bull—a story about overcoming fear with compassion—was published by CaribbeanReads in May 2018.He has also been featured on some of Jamaica’s most prominent media programmes including Jamaica Morning, Smile Jamaica, Palav and CVM at Sunrise. 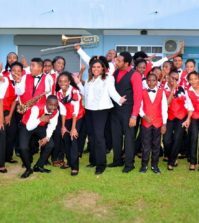 He has also appeared on radio and TV programmes in Grenada, Dominica, St Kitts, Japan and England. His energetic and practical presentations inspire audiences to challenge conventions, speak their truth and pursue their goals. For more on Talent like Juleus do click and LIKE our Facebook Page.